Mix up your sauce in the bottom of your baking dish, coat the chicken thighs and bake at 450° for 40 minutes. Happy New Year! I wish I could say that 2014 was a stellar year for my knitting, but honestly for much of the year my heart just wasn’t in it. I did do a little bit, however, and I am feeling much better about knitting in general after Christmas knitting and finishing a few things. All of the information for the pictured finished objects can be found on my Ravelry page, of course. Not pictured is the stack of dish towels I started back in June as a kind of motivation to keep me knitting (and also to use up a bunch of scraps) which actually worked haha! I made 4 since I created the project on Ravelry and I’m probably just going to keep the project going to see how many I can make. It’s a fun pattern, quick to knit up and very portable, but my favorite part is since you are knitting in wedges, it has a lot of stopping points along the way so you can put it down any time, or decide, like often I did, to knit just one more section. Also not pictured is the Teeny Tiny Santa I made for T’s tree this year, for which I somehow completely neglected to create a Ravelry page or even take a picture! You’ll have to rest assured it is exactly as cute as the one I made back in 2011. 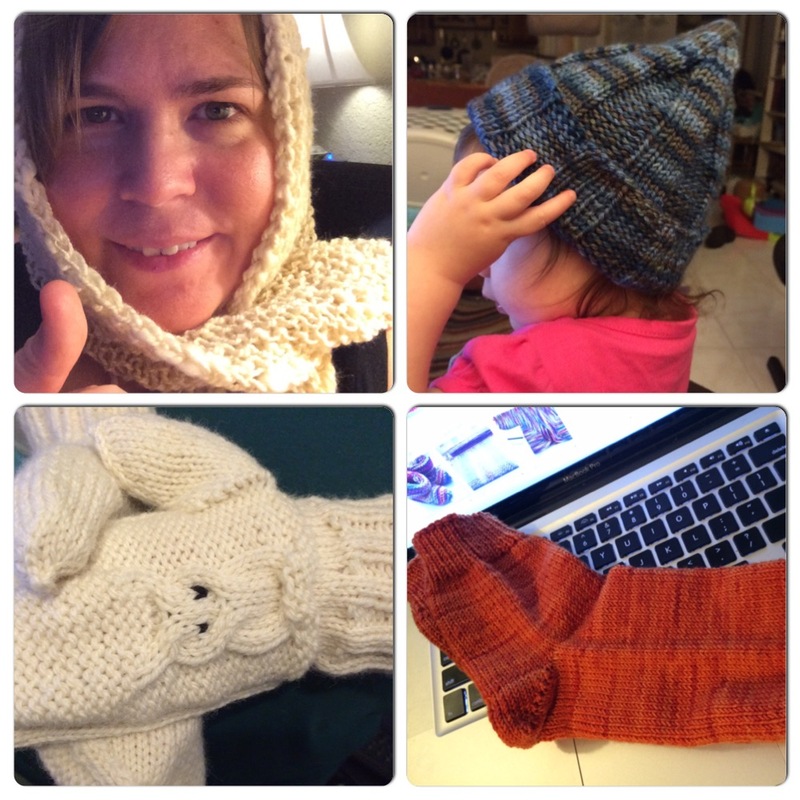 So that was my knitting year. Not too horrible, I think, and I definitely got more done in 2014 than in 2013. Well. If you count the stuff that I’m not counting for this post haha. Oh well. Here’s to a great 2015! Check it out, I made a sweater! Maybe I am getting my groove back? It’s a winter coat for my toddler! She might even get to wear it if the temps ever drop below 75° (which is the point at which I start to feel cold. Yes, I am a tender-footed Floridian now, apparently). I’m so happy with the way it turned out, even though it felt like the damn sleeves were cursed. I had more trouble with garter stitch in the round than I thought I would. Silly. If you’re interested, please check out my Instagram for details and read the info under the photo with the text “Sale Terms”. 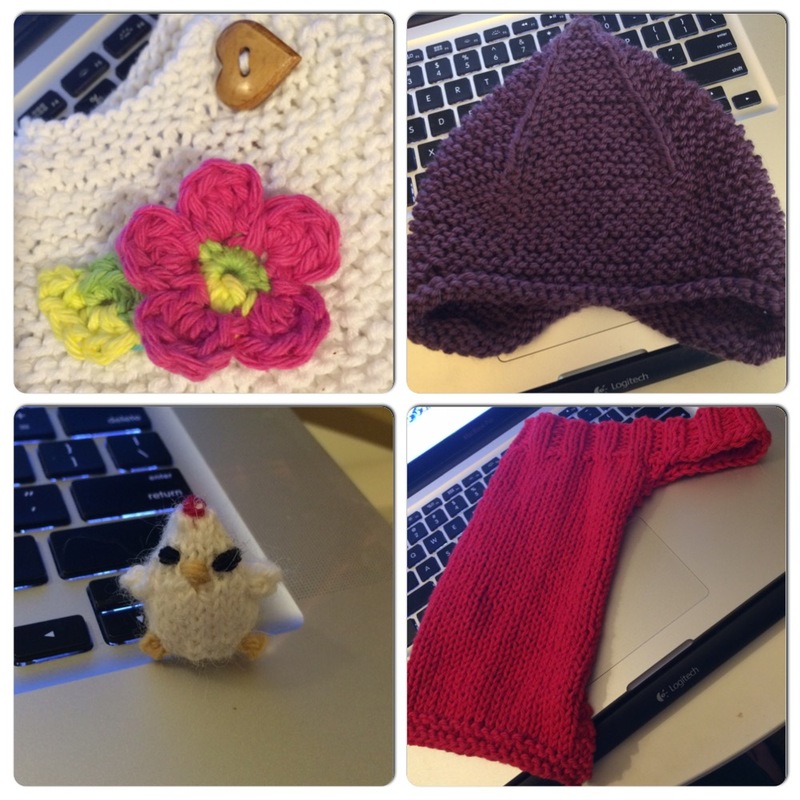 Day 217: Destash sale continues! 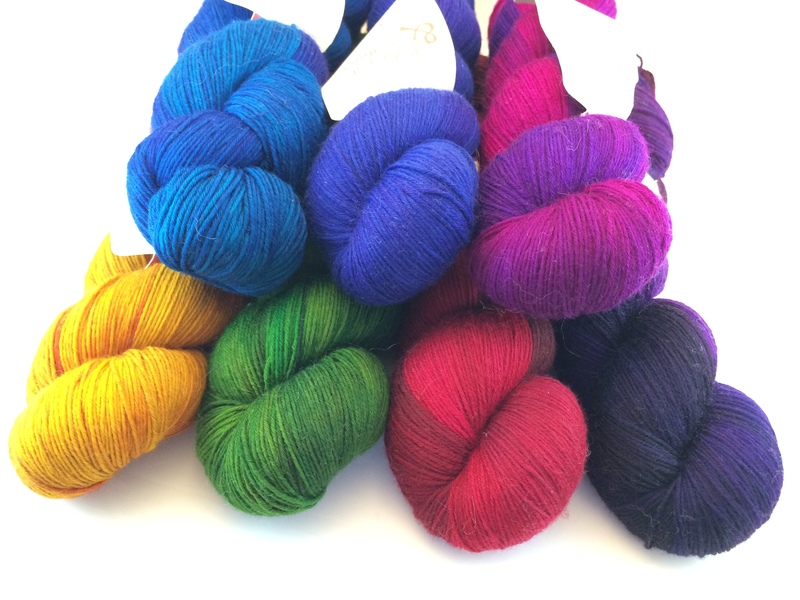 And even a couple of Wollmeise skeins. Check out my Instagram to get yours. Day 216: Sale Starts tomorrow! I’ve been getting ready y’all! 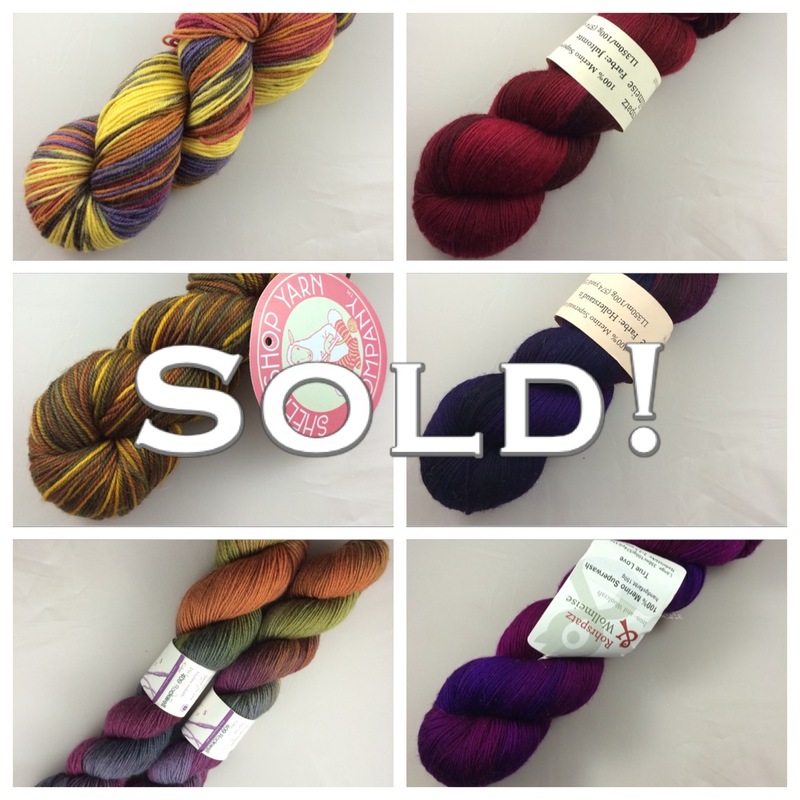 My destash sale on Instagram starts tomorrow at noon. 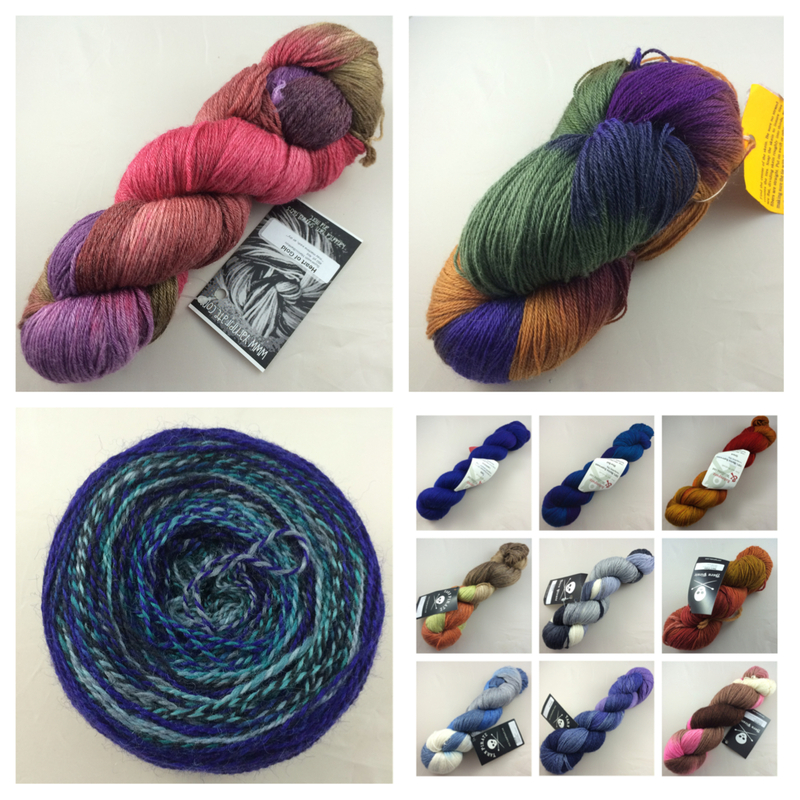 Wollmeise, Yarn Pirate, and others. Come check it out! I honestly don’t know if there’s anyone out there reading this blog any more but I figured this was as good a place as any to put this out there. 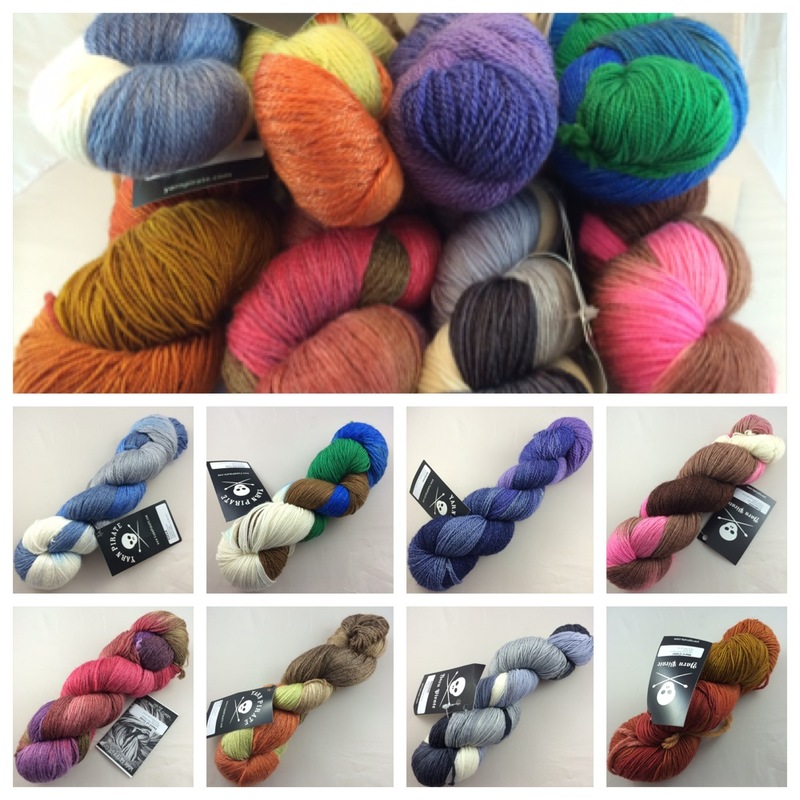 I am going to start destashing some of my premium yarns, Wollmeise, Yarn Pirate, etc. as well as some other woolen detritus I’ve got languishing in my stash (probably some of my own hand spun too!). I just… Well, I just do not knit as much as I used to (wool + South Florida = bad combo) and frankly I can use the money. So. If you aren’t already, follow me on Instagram. I am hoping to start putting things up on Monday. I’ve got some really good stuff hanging out back there, so spread the word! Tell your friends! And don’t forget to check out my Twitter for updates.